Hallyu star Park Seo Joon excitedly talked about his latest KBS show “Fight My Way” in an interview. Despite being branded as "every man's dream" by her co-actors, Park Bo Young refused to believe that her beauty is exceptional. Similarly, the "Strong Woman Do Bong Soon" named her girl crush in the industry. South Korean girl group EXID shared their thoughts on being included in the music charts during the promotion of their latest single “Night Rather Than Day”. Song Ji Hyo, the other half of "Running Man's" Monday Couple, has finally spoken up about Gary's sudden announcement of his marriage earlier this month. 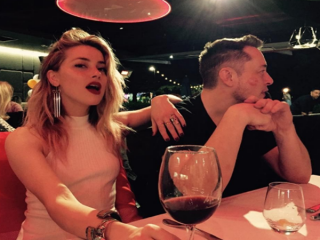 Elon Musk and Amber Heard publicly confirmed their relationship via the upload of photos in their own social networking accounts. The pictures were snaps of moments when the two went around Australia to have some fun. 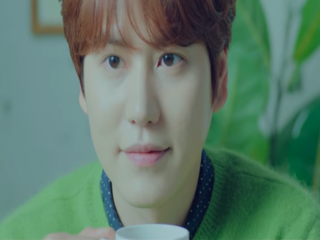 Super Junior's Kyuhyun is set to enter the army this year and he will be serving as a public service worker. The news of his enlistment has been going around for a while now but the date was only confirmed on April 24. Even before she teamed up with Park Hyung Sik for "Strong Woman Do Bong Soon," Park Bo Young confessed she already knew the co-star since he made his debut with ZE:A.
Suzy's contract with JYP Entertainment already expired on March 31. Currently, she is now a freelancer as there is no report that she renewed her contract. It seems that the Miss A member is not interested in signing with any agency, but thinking of setting up her own agency instead. Park Bo Gum's short stay on the "Infinite Challenge" production was more than enough for him to build a strong bond with the members of the program. Netizens shared their contrasting opinions on "W" magazine's branding of Lee Sung Kyung as South Korea's own version of Gigi Hadid.